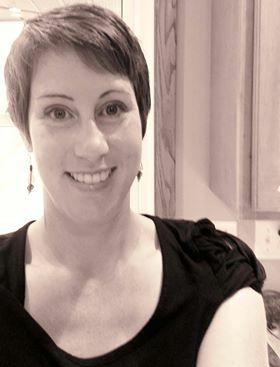 Stephanie Churchill grew up in the American Midwest, and after school moved to Washington, D.C. to work as a paralegal, moving to the Minneapolis metro area when she married. She says, 'One day while on my lunch break from work, I visited a nearby bookstore and happened upon a book by author Sharon Kay Penman. I’d never heard of her before, but the book looked interesting, so I bought it. Immediately I become a rabid fan of her work. I discovered that Ms. Penman had fan club and that she happened to interact there frequently. As a result of a casual comment she made about how writers generally don’t get detailed feedback from readers, I wrote her an embarrassingly long review of her latest book, Lionheart. 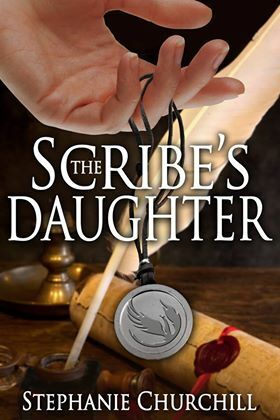 As a result of that review, she asked me what would become the most life-changing question: “Have you ever thought about writing?” And The Scribe’s Daughter was born. Find out more at Stephanie's website www.stephaniechurchillauthor.com and find her on Facebook and Twitter @WriterChurchill. Her books can be found on Amazon and other online retailers. "What inspired you to start writing this particular book? What is the genre of this book?" Becoming an author wasn’t anything I’d ever imagined doing throughout most of my life. In fact, the very idea of it, when it came, found me like a deer caught in the headlights. The more common tale for the authors I know is that they had dreamed of writing books ever since they were children. That wasn’t the case for me. If the idea had been suggested any earlier in my life, I would have found the notion utterly laughable. It wasn’t until a New York Times best-selling author nudged me that I caught on. The resulting experiment led to the inspiration for my first book. Let me explain. I have always enjoyed reading. And while I enjoy many different genres, historical fiction is what I return to over and over again more often than not. It was mid-2011 when I heard that my favorite author of the time, Sharon Kay Penman, was about to release a new book. I had long been a member of her Facebook fan club, but it had been a while since I’d last visited. News of her new book sent me to the group more frequently, and to my great surprise and delight, I discovered that Ms. Penman frequented the group, interacting often with her fans. It was in one such interaction that Ms. Penman commented that authors rarely receive detailed feedback from readers about why they love the books they do. Immediately I decided that I would do something about that. In a way that only rabid fans, groupies, and a small number of book nerds can do, I began work on what turned into an embarrassingly long review of her book, Lionheart. That a fan would do something so fanatical understandably caught her attention, and we struck up an email friendship, the result of which led her to ask me, “Have you ever thought about writing?” Had she been anyone but a career author, and one with several titles to hit New York Times best-seller status, I would not have paid any attention. But she was who she was, and the authority behind that assurance gave me the confidence I needed to take up the proverbial pen and write, with none other than my favorite author as mentor. Four years after the nudge, I published my first book, The Scribe’s Daughter, but it was really an accident. I had every intention of publishing a different manuscript, but when the voice of my prose just didn’t seem right, I set it aside. Just for fun, I wondered what it would be like to write in first person, so remembering a certain market chase scene from the 1992 Disney film Aladdin, I replaced the character of Aladdin with my own street urchin, a girl named Kassia. As Kassia took shape on the page, I found her to be quick-witted and sarcastic, and incredibly fun to write. I fell in love with her character and couldn’t stop until I had a book, The Scribe’s Daughter. At the beginning of the novel, we meet Kassia, a seventeen year-old orphan who is faced with a tough decision in her daily quest for survival. She is a younger sister but finds herself in the position of providing for both herself and her older sister, Irisa. The sisters cannot afford to pay rent, and when their landlord gives them an ultimatum -- pay up or become whores -- Kassia must make a difficult decision. Events become complicated when very soon after, a stranger shows up at her doorstep to hire her for a job that is ridiculously outside her skill set. Not seeing any other choice, she takes him on. Before long, Kassia finds herself swept away on a sometimes treacherous journey where she must use her resourcefulness and every measure of witty bravado to survive. Along the way, mysteries of her family history, a history she never knew existed, are realized and revealed. By the end of the book, Kassia is transformed from naive and reckless girl, to confident, strong young woman. The book reads like historical fiction, yet there is no doubt that it is fantasy, even if not traditional fantasy. There is no magic, no dragons or other fantastical beasts. Everything is based in reality. Readers of historical fiction should feel right at home while reading it however, because I tried to inject my love of history and historical fiction into the feel of the prose. I often tell people that my books echo historical fiction even if they don’t contain any history. More than that though, if you love deep characters, evocative settings, and a good plot, it doesn’t matter what genre you read. You’ll enjoy the book! Kassia is a thief and a soon-to-be oath breaker. Armed with only a reckless wit and sheer bravado, seventeen-year-old Kassia barely scrapes out a life with her older sister in a back-alley of the market district of the Imperial city of Corium. When a stranger shows up at her market stall, offering her work for which she is utterly unqualified, Kassia cautiously takes him on. Very soon however, she finds herself embroiled in a mystery involving a usurped foreign throne and a vengeful nobleman. Most intriguing of all, she discovers clues to the disappearance of her father three years prior.